SAN DIEGO, May 30, 2017 /PRNewswire/ -- Bridgepoint Education, Inc. (NYSE: BPI) today announced the appointment of Philip Dana to the position of vice president of human resources operations. Dana will provide the overall strategic direction for the delivery of the employment brand, technology, and process improvement functions within the company's human resources department. He will report to Marc Brown, senior vice president and chief human resources officer. 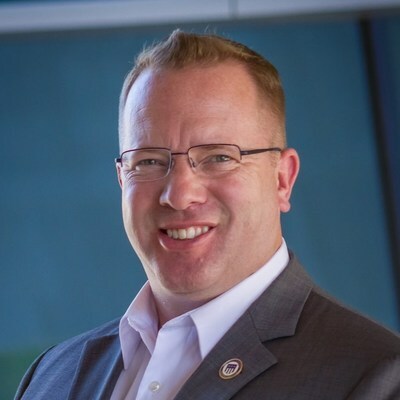 Prior to joining Bridgepoint, Dana served as vice president of people operations at The Honor Foundation, where he helped Special Operations Forces transition between careers. Prior to that, as senior manager of global talent acquisition operations with Life Technologies, he led a vendor management system that reduced the "total cost of workforce" by over $1.2 million across 1,300 workers in 18 countries. Throughout his service as a talent executive, Dana has led efforts to hire more than 25,000 veterans and raise over $7 million for various veterans organizations. "Phil has a rich history of serving as a talent executive in various 'Fortune Most-Admired' and 'Best Places to Work' environments, and brings immense expertise to both the role of vice president of human resources operations and the Bridgepoint and HR leadership teams," said Brown. "His phenomenal network and broad human resources skills combined with his experience working with the military and veteran community make him uniquely equipped to take on this position. I am so excited to have him on the team." Dana holds a bachelor of science in political science from the United States Naval Academy.